The DBS Altitude AMEX and Citibank PremierMiles Visa end their sign up bonuses on 31 January 2019. In the blink of an eye, January 2019 is drawing to a close, and with it two big credit card sign up bonuses. If you’re looking to build your miles balance in 2019, you should definitely consider whether either of these can fit into your strategy. 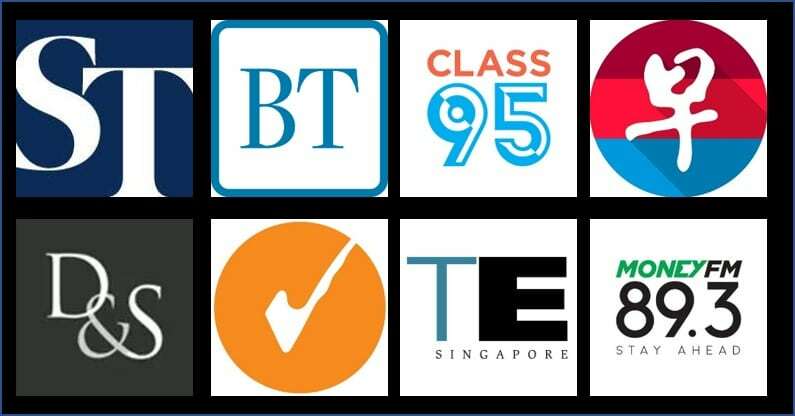 If you sign up for a Citibank Premiermiles Visa card through SingSaver’s January card offers by 31 January, you can get $200 NTUC/Grab/Taka vouchers (existing Citi customers get $30). This is in addition to the sign up bonus offered by Citibank. There’s also a chance to earn an additional $20-50 hongbao per application if you’re part of the winning team in the miles vs cashback competition. 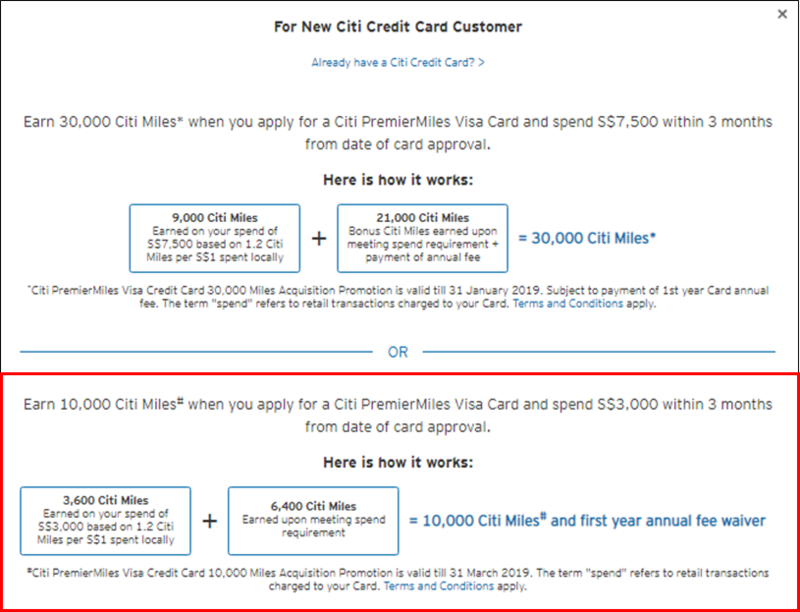 Since August 2018, Citibank has been offering a total of 30,000 miles for new-to-bank customers who sign up for the Citi PremierMiles Visa, pay the $192.60 annual fee and spend $7,500 in the first 3 months after approval. In other words, the “real” bonus is 11,000 miles, as you could earn 19,000 miles anyway simply by making the spend and paying the annual fee. Interestingly enough, I’ve just noticed that Citi seems to have added a second sign up bonus for new-to-bank PremierMiles Visa customers which applies for applications made by 31 March 2019. This represents a much superior miles: spending ratio, to be frank, and unless you need to rack up more miles in a shorter period of time, may be the better deal. In other words, the “real” bonus is 4,000 miles. Hardly anything to shout about, but at least there’s a $100 Kaligo voucher in it for you too. The Citibank PremierMiles Visa card earns 1.2 mpd on local spend and 2.0 mpd on overseas spending. You also enjoy 3, 7 and 10 mpd on bookings made with Expedia, Agoda and Kaligo respectively. Cardholders get two complimentary visits to Priority Pass lounges a year, although this will soon be switched to Dragon Pass. Citibank points do not pool, which is to say that if you’ve accumulated a large chunk of Thank You points from the just concluded Citibank-Apple Pay 20X promotion on your Citi Prestige or Citi Rewards card, those points won’t be pooled with your Citi Miles. 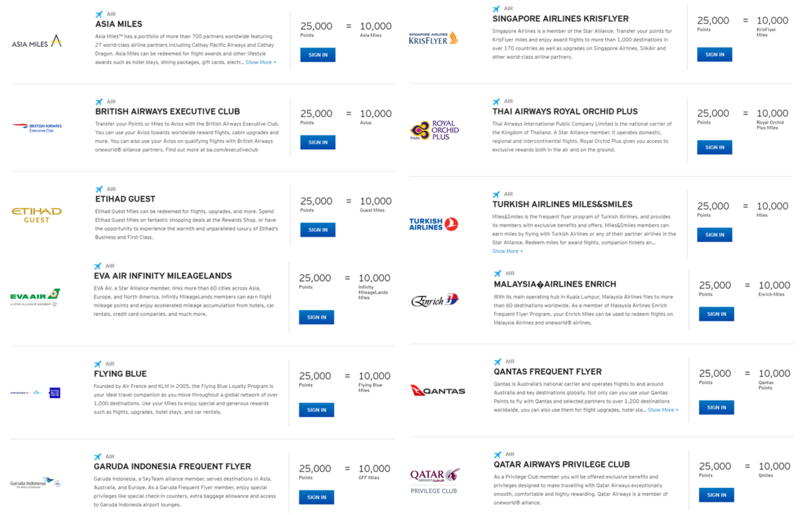 However, Citibank has the widest selection of partner airlines available to any bank in Singapore, which includes some pretty useful FFPs like Etihad Guest, as well as British Airways Avios. Citi Miles do not expire. This offer is available for both new and existing DBS cardholders, and is only for applicants who apply for the card entirely online (i.e. you can’t get any sales assistance- so be sure to fill in that form properly!). The DBS Altitude AMEX card earns 1.2 mpd on local spend and 2.0 mpd on overseas spend. You also earn 3 mpd on online flight and hotel transactions, subject to a cap of $5,000 each month. Unlike the DBS Altitude Visa, the DBS Altitude AMEX does not come with a complimentary Priority Pass. DBS points pool, which means you can combine the points earned via the Altitude AMEX with those earned from other DBS cards like the WWMC. DBS points earned through the Altitude AMEX/Visa card do not expire. In terms of transfer partners, you have Air Asia, KrisFlyer and Asia Miles to choose from. The DBS Altitude AMEX has an annual fee of $192.60, but you can enjoy the sign up bonus with a first year fee waiver. Hi Aaron, thanks for the reminder. Do you know how quick it is to receive the Singsaver $200 voucher for new Citi customers? Looks like DBS Altitude AMEX and CITI Premieremiles Visa sign up bonus has been extended to 28th Feb 19 and 31st March 19 respectively.